Carol Craner Catlin, 96, beloved wife, mother, grandmother, and great-grandmother, passed away peacefully in her home on November 6, 2018. She was born in San Diego, California, to Joseph Howard Craner and Melinda Louisa Spencer. She was the younger of two daughters in her family. She married Howard Ross Catlin in the Arizona Temple on March 6, 1942. She was an active lifelong member of the LDS Church, and served in many leadership capacities. She lived a military life as wife of a career Air Force pilot who served in California, South Dakota, Nebraska, Saigon, and the Pentagon. While in South Dakota, Howard served as a B-52 squadron commander, involved in the Vietnam War. With three six-month tours of duty, Carol was given the responsibility for 120 women and their families that stayed behind, and successfully became their leader, friend, and surrogate mother during the duration of their campaigns. She endeared herself to others with her compassion and quick wit throughout her life. She had the gift of soothing a troubled heart and lightening the burdens of others. When they retired from the military, they chose Bountiful as a good location for using their military privileges, and to be near the church genealogy centers. They both enjoyed researching and writing family histories. They also enjoyed time to travel the world, which they loved. Carol was a mentor for her grandchildren and a wise counselor to her family, friends, and neighbors. She was never happier than when she was with her family. 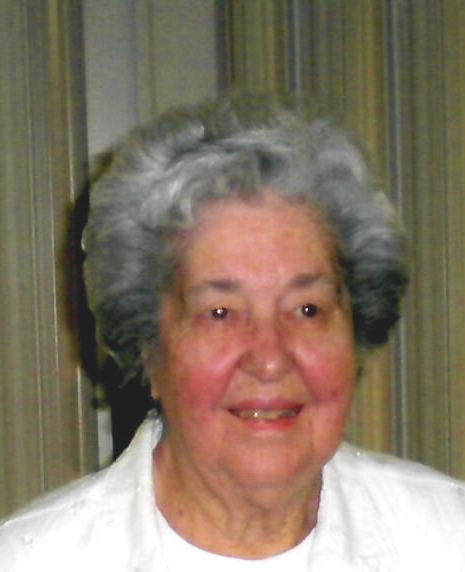 She was a seamstress, loved doing handwork, and enjoyed racket ball and tennis. She also joined Howard as a worker in the Salt Lake Temple. Carol is survived by daughters Carole Ann Schwab, Linda (David) Allphin, Denise (Jeffrey) Pay, and son Ross (Cheryl) Catlin; 23 grandchildren, and 46 great-grandchildren. She was preceded in death by her husband, Howard, sister, Faun Kreider and a great-grandchild Josie Lynn Lord. Funeral services will be held Saturday, November 10, 2018, at 11:00 a.m. at the Val Verda 8th Ward Chapel, 2651 S. 500 W., Bountiful. Friends may call Friday from 6-8 pm at Lindquist’s Bountiful Mortuary, 727 N. 400 E., and Saturday from 9:30-10:30 a.m. prior to the funeral services at the chapel. Interment will be in Bountiful City Cemetery. Condolences may be shared at www.lindquistmortuary.com.